In my freshman year in college, I began to explore writing mysteries and crime. I had already spent several of my formative years dealing with criminal investigation due to various adventures which started with the Police Explorer Program. I already had read books on criminal investigation and books on psychology (at the time there was very little written about criminal psychology—and nothing that my library owned), but I didn’t really know what was needed to make a mystery good. So I went to the library and found a book titled Making Crime Pay. It was by a mystery writer whose name I’m uncertain of right now—and was then. I liked that book well enough that I wanted a copy for myself to refer to. I marched down the block to a local bookstore looking for it. The bookstore didn’t have it and all I could remember was the title. So the bookstore owner looked up the title and ordered it. When the book came, it wasn’t the book I wanted. The book I received was Making Crime Pay by Harold S. Long. At first I stood at the counter very disappointed. Then I opened the book and couldn’t believe what I had stumbled on. This book was written by a professional criminal diving into the realities of the criminal justice system from the criminal point of view and giving advice on things like “how not to get caught,” “how to instruct your wife to talk and not talk to the cops,” and so forth. I forgot the mystery-writing book entirely. What I had here was the written version of a professional criminal’s mind in my hands. To borrow the modern vernacular—“SCORE!” Yes, I was literally a kid let loose in a candy shop. This book is out of print, as I suspect his others are as well. It was published in 1988, but despite the advances in technology, the information within—especially as you read it from a psychological point of view, will give your criminal characters more depth and understanding. In fact, I use the book as a kind of checklist to see if I have my criminals behaving in a correct manner versus something I may have picked up from television or the movies that is incorrect. (Though a lot of crime drama now days is on the money with the behavior.) The ultimate goal of writing my criminals is that I want to see the crime through their eyes and in their mind. I may have a “detective” trying to solve the case. They may or may not see things the way the criminal does. If I, as the author, only know how the “detective” sees it then I have robbed my readers. 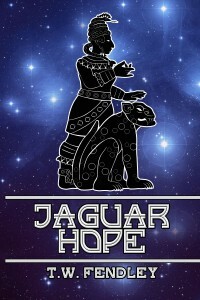 No fooling--JAGUAR HOPE free until 4/1! Normally when I write about fear, I am discussing how to create it in a book through suspense, foreshadowing, or emotional response. Today, I will discuss fear as the author in his or her career feels it. There are two major fears in the writing industry. The first is the most common. It is the fear of failure. Writers often talk about the fear of failure. That fear comes in many ways. It can be in the form of the fear that a pitch will not be right. It can be in the fear that your manuscript is not ready or in the fear that you will never make it as a writer. The fear of failure can cripple a writing career. The fear of success can kill that career while it is still in the womb of possibilities. Those who feel the fear of failure can identify it easily. Those who fear success—at least in my personal experience—may only realize it in an epiphany. That was my discovery of this fear. It is why I have chosen that topic for today’s posting. Before I go into the fear of success, I would like to share a little personal background. Like most people I have fears. But I have usually pushed past them. I have the fear of heights, but I have angel repelled (that is repelling facing the ground) and jumped out of planes. I have had the phobia of spiders, but it doesn’t stop me from either getting rid of them in a non-lethal way or killing them—nor from me camping in the woods. I also know the fear of facing multiple opponents in the street and being attacked. That has not stopped my martial art training from kicking in (excuse the pun), doing all I needed to do, and resolving the issue satisfactorily (for me). On top of all of that, I know success. I haven’t had a lot in the writing world, but I have known it outside of that in my personal life and been able to prove the naysayers wrong. I have had a history of success against the odds.Why then do I have a fear of success? Allow me to paint a picture for the reader. Over the past few years, my life has changed drastically. I think that now as it becomes stable I can finally see this fear. I have been divorced. I have lost my independence when I had to move in to take care of an elderly parent after my other parent passed away from complications from cancer. Over the Iast year and a half, I have had to nurse back to health to be semi-independent again after a drastic change in their health. On top of all of that , I have had a chaotic and drastic work schedule that, when thrown in with all of the rest, as made my normal writing schedule resemble what you might see if you let toddlers loose to play “dump the boxes” in a jigsaw puzzle store. With all of this being juggled, I developed a fear of success—something totally unknown to me. Out of the chaos I believe came my fear. What is this fear? What does it do to you? How do you overcome it? Fear is fear. No matter the fear, the effects can be the same. Frank Herbert once wrote a definition of fear that I feel transcends all of the definitions given to us by the sciences of psychology, medicine or law. He wrote, “Fear I the mind killer.” The feeling of fear can best be described, without going in to the various symptoms, as the dying into inaction. * Opposite of fear of failure, in that fear of failure is the fear of making mistakes and losing approval--Fear of success is the fear of accomplishment and being recognized and honored. * Fear that you will find no happiness in your accomplishments--that you will be perpetually dissatisfied with life. * Self-destructive behavior, such as tripping yourself up to make sure that you do not sustain a certain level of success or achievement you once had in school, on the job, at home, in relationships or in your personal growth. * Feeling guilt, confusion and anxiety when you do achieve success--this leads you to falter, waver and eventually lose your momentum. * Sabotaging any gains that you have made in your personal growth and mental health, because once you become healthier, a better problem solver, and more "together,'' you fear that no one will pay attention to you. You are habituated to receiving help, sympathy and compassionate support. * I have worked so hard to get this far, yet I need to keep on working hard; I'm not sure the effort is worth it. * I know people care about me when I am down and out, but will they like me when I am on top and successful? * I've never been happy before, so how can I be sure I'll be happy once I achieve my goals? * I am nothing, and I deserve nothing. * How can people like me if I succeed in reaching my goals in life? * I can't sustain the momentum I would need to achieve my goals. * How can I be sure that my good fortunes won't go sour and be destroyed? * There are always more demands and more needs that have to be met in order for me to be successful, no matter what I do it will never be enough. * They are all better, brighter, smarter, and more talented than I am. I really don't deserve to be successful. * It's hard to be at the top. * Everyone is out to shoot down the head man. * No one really likes a winner. * Everyone goes for the underdog. * I am happiest when I am under pressure and challenged. * Hard work, no play and constant effort make me happy. What would I do if it were different? * I feel so guilty when I realize how much I have been given in my life. * I'm always afraid I'm going to lose it all. * Starting over again gives me meaning and a sense of mission and purpose. * I'm so bored with what I've accomplished. What's left to do? Facing this fear is not uncommon, even for the best of writers. There will be a link to a speech given by Neil Gaiman that you should listen to. He does not come out and say “hey, I have had this as well,” but if you have read the above you will hear him talk about. It is good to know that we are now alone. How do you overcome this fear? Mr. Lawson further goes into ways to overcome this fear, as do many articles on Psychology Today and other sites. Allow me to apply my martial art’s experience to this question. Stop thinking about what the “outside world” is going to do or demand of you. Thinking like that only creates FUD—Fear, Uncertainty, and Doubt. By creating FUD in you, you become distracted from your goals and your potential. When you focus on what the “outside world” is going to demand of you. This is where your opponent (fear) wants you to reside in your mind and it is the last place you want to be at. You need instead to focus on having a plan. Before I go any further, let me make a drastic example of the difference between internal focus and external focus. This is a concept that can be very difficult to understand. Many people, when faced with confrontation or of something unknown in their lives, want to focus internally. “What if I can’t make a living?” “What happens if . . .?” That path leads to fear. You must externalize your focus and not fix upon what can happen to you. Instead focus on what you can do for others with your talent and abilities. Externalizing your focus includes analyzing what exactly is causing your fear and how you can use that fear to your advantage. It is analyzing what your specific reason is for even writing outside of the simple “I like to . . . need to write.” It is not about having something to say, but what is it that you are saying that can affect someone else—whoever that person is. Finally, externalizing your focus allows you to analyze the best method of attacking your fear as if it was a physical opponent. By turning the table s on the cause of your fear, you have taken control of the situation. With the fear of success comes the doubt in your abilities. Stop that. Most people fail to understand that everyone’s abilities are unique to themselves. I blame part of this on the way people are taught to write for school and another part on the “imitate other writers to learn your craft” mentality. Many writers start by trying to imitate some other writer because they like the way that writer approaches a topic or what their method is. If you are just learning their method or approach to improve or sharpen your skills, then you are doing ok. If it starts to be a road block because you don’t think you are as good as [insert any author’s name], then you are not trusting your abilities and I doubt you know what they are. There is no perfect writer out there nor is there any magical method—formula—or 90 day process you can follow that will give you success unless you trust in yourself and your abilities. If you can’t do that, you are on the road to either fearing failure or success. That is not a road you want to be on. Aren’t you better than that? In other words: Take everything you are, even what you consider to be a disadvantage and learn to look at it in ways that you can see it as an advantage. The long hard road to get published will create FUD. Our changing industry and business models, where once stood a publishing house of great fame now is a crater of its collapse will create FUD. FUD weakens your determination to succeed and will create the fear of success—because success is now seen as a possible road back into failure. Someone has said that it takes at least ten years of hard writing practice and writing four novels to even begin to see the glimpse of success. If that is true, that is a lot of effort you are wasting because you are afraid to take the next steps that you know to take to find success. By turning your focus externally your determination strengthens. See your plan in your mind, see your goal accomplished before it is, and it will become a self-fulfilling prophecy. This is the number one mistake of over 90% of the world’s population in achieving anything their dreams. What is your plan? Before stepping into the dangers of trying to get your work published, do you have a plan? Why not? You have a plan if your house catches fire, right? What about a tornado? Or what if you are in an accident? These are events you are not trying to make happen and I bet you have a plan for them, don’t you? So why not a plan for your success as a writer? What if someone, an agent or an editor you have met, suddenly asks you to pitch to them--have you thought about what you would do? Go back to your abilities. If you are any kind of artist (which writers are), then you have been training with everything you read and write. Do you belong to a writing group that has workshops or lectures? Then, if you have been paying attention, squashing your own ego and letting in the speaker’s message, you have been training. The question is what have you been training for? BE HONEST with yourself. To win a competition? To show off to your friends? To have just one book published? These may be important to you, yet it is the mistake many l artists make if it becomes the primary focus. When you train, think about the real “competition”, the one where the stakes are highest…and then create a plan of training that takes you into the competition with yourself. Yes…yourself. You are your own greatest opponent and roadblock. If you weren’t then you wouldn’t have fear of success. If you have done your job, you have a plan. Actually you probably have many all of the things you have learned and tried. The important thing to remember is to choose a plan before you find yourself in the situation. This is how you beat your opponent—yourself and your fear. First, by having a plan in advance you don’t waste the critical time you need trying to think of how you will face any level of success. Second, your opponent (fear) has a plan. That plan is more than likely as simple as keeping you where you are. But beyond that, it has no plan. You, if you have thought about it properly, even are able to create variations of those plans as you execute your plan. Third, the most important thing is to execute that plan. If you focus on the plan then you have no room to focus internally. Further by focusing on your plan, you can adapt and adjust. By having a plan, you take the initiative in creating your road past your fear into success. By having the initiative you overcome FUD. What about defeating the odds and getting published or overcoming your fear of it makes you think that you are not engaged in a fight? With this in mind, what I am about to say may sound like I just contradicted the last five steps. I haven’t. Despite of all that society may try to teach about grabbing opportunity, running away “to live and fight another day” is not an act of cowardice. So ask yourself, what are you willing to put all of your dreams on the line for? Be honest with yourself. It is easy to say that you are willing to do it for the money or the chance to get published. But think about it? Is this worth putting up a everything for? Maybe it is. But then, why are you fearing it? Visualize the situation in your mind. Visualize where you would be two or five or even ten years down the line. Is it worth the fight then? Now imagine someone offers you the chance to claim success on your terms, or near to it as possible, with some hard work on your part. Is it worth the fight? Did your answer change? This is critical. Before you find yourself in a situation, you must decide what level of success you truly desire. The idea of “No Mind” may seem odd. It most certainly does not mean to write and go into anything without thinking! What it means is to stop thinking about what others are thinking about your work. Stop thinking about what any passersby or someone you may never meet again will think of your work—even stop thinking what your critique group may think. Think only about your plan and executing it. Control the situation. Execute your plan as you have foreseen it, with adjustments as the situation dictates. This is the determination to execute the plan with a single mindedness that it seems as if you have had no other thought in your head and thus as if it required no thought on your part at all. Many writers approach writing organizations looking for critique groups, people to give them feedback on their writing and so on. What is rarely asked for or offered, at least on a consistent basis, is a chance for writers to come together—breaking their lonely bubble—and simply write. Setting time apart in this hectic world where most writers have to keep at least a primary full time job to pay the bills while they work equally hard, if not harder, to get their list of novels they are working on into a publisher, bought by the public, and marketing their work out to the world. That is one of the purposes of having write-ins. Many of us have our writing schedules—and sometimes those schedules are interrupted by life’s commitments. Write-ins are a time to commit to the art. A write-in is a gathering of writers who will go to someone’s home, or a bar, a coffee shop, a bookstore, or somewhere where they can ply their creative craft for a set time. There, gathered with other writers, you can share and feed on the creative synergy being created—driving you to work and not feel alone. It is also a time when you can pick other writers’ brains to break writer blocks, get suggestions, or test a story’s hypothesis. 5. A simple set of rules (like how to signal to others that you are writing or ways it is ok to interrupt others who are writing to bounce questions off them). Write-ins are not all about the writing. They are also times to be social with other writers, reminders that you are not alone in the art, and a chance to share each other’s successes or hindrances. But, with that said, it is important to remember that the primary purpose of a write-in is in the name: WRITE! When I watched this show for the first time, I was scrambling for my notebook. Between all the times I viewed it, I have filled more than one large notebook with notes. If you are interested in seeing a little more on this series or learning more about Mark Safarik, I will put a list of links after this blog. While Cloo has canceled the show, you can find it on Cloo and the Bio channel. If you wanted to view this series, you can find it on Amazon and on Itunes. Sadly, I was unable to find it on Netflix—so, yes I bought it on Itunes. If you search on YouTube, you will find more. I met Debra Lynne Katz a few years ago through Marty Rosenblatt's online Associative Remote Viewing (ARV) group. (You can find out about ARV on my website, www.ARV4fun.com). Welcome, Debra, on this first day of spring! 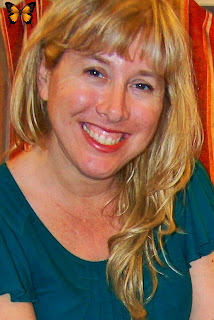 Debra Lynne Katz is author of three nonfiction books, You Are Psychic: The Art of Clairvoyant Reading & Healing; Extraordinary Psychic: Proven Techniques to Master Your Natural Abilities; and Freeing the Genie Within: Manifesting Abundance, Creativity and Success in Your Life. She is the Director of the International School of Clairvoyance and offers workshops around the globe as well as distant training courses in psychic development. She holds a Masters degree in Social Work, and is a former Federal Probation officer and TV show host. She resides in Southern California. WEBSITE: www.debrakatz.com or www.urpsychic.com. These will both take you to the same website. When and why did you begin writing? People find it surprising when I tell them I didn’t consider myself a writer until years after I wrote and published my first book. In fact, my book had been out for a couple years and I was well on my way into my second one, before I could even bring myself to say the words, “I am a writer” when someone would ask me what my profession was. I think that is because I wasn’t writing because I was a writer or wanted to be one, but rather because I felt I had something very important, even urgent, to share with the world regarding a topic I was more not just passionate about, but obsessed with. I started writing in 1998 when my son was six months old, at which time I was a single mom, with very little money or family around. We lived in one-room trailer at a trout farm and not only was I working, but I also was attending film/screenwriting school. I mention this because a lot of aspiring writers have a lot of excuses for why they can’t begin, or continue, or finish their writing projects and I say if I could do it, anyone can. It really is a matter of what is a priority. I used to set my alarm for 2 a.m. every morning. I’d make some coffee, write for two to three hours, then go back to sleep for a couple more before my son woke up. So my priority was not getting sleep, or feeling rested, or watching TV, or socializing, but instead getting my book done. I make this point because when people make excuses, it makes them feel powerless. When they can more honestly state, “yes, I’d like to write a book, but it’s actually more important right now that I get enough sleep in my life, or that I work a lot so I can make my car payments or live in a beautiful, roomy, house instead of a less expensive place.” They then understand it’s a choice and they get their power back. What prompted you to write your first book? I was working as a psychic in a bookstore in Sedona, Arizona. At the end of a session, clients often asked me questions like, “how can you do what you do?” at which point I’d tell them how I developed my intuitive skills by going through training and that they could do the same thing. At this point they’d have so many other questions that it was a challenge to answer them all in just a few minutes. I knew from ongoing searches there were no other books on the market that taught the techniques I had learned through an oral teaching tradition or that addressed some of the topics that were so important to so many of the people I was meeting. So essentially, my first book, You Are Psychic, was born out of a necessity: to save myself the time and energy it took to answer my clients' individual questions, and the desire to share with the world techniques and information that had such an enormous and positive impact on my life which were not easily accessible to most of people in the U.S. or the rest of the world. To be honest, I’ve always been a bit obsessed with doing what I can, not just to aid in the evolution of specific individuals but of humanity itself, and I felt my book might be a helpful tool for that as well. What is your writing process? I can say with absolutely certainty if the computer and MS Word hadn’t been invented, my books would never have been written. These incredible tools not only provided a means by which to get the words down on paper, but helped me to be able to organize and edit my writing in ways I could never do by writing by hand or typewriter. They have changed the way I think and write, and very much for the better. And I say this as a person who had never touched a computer until she was 25. I feel I have really evolved alongside the technology that’s been revolutionizing our world over the past decade at a dizzying speed. I am absolutely certain if I hadn’t kept up, I wouldn’t be in business for myself, as this technology is just so essential for writers and those who teach what they write about. These developments range from everything internet-related--from computers and writing software--to teleseminar/webinar platforms, to software/webdesign hosting programs, etc. I mention this because I feel that today, more than any other point in history, as aspiring anything--writers, artists, teachers, whatever--we cannot have success without diving head-first into what I envision as a raging river that will carry us to our destination only if we are willing to to submit ourselves to the learning curves laden with frustrations, fears and feelings of ineptitude inherent in learning new systems and software and ever-improving devices. Had I not learned how to navigate my ways through these chilling learning curves, I’d most likely still be working 9 to 5 jobs under the supervision of small-minded control freaks who care nothing about me, instead of setting my own schedule and having the pleasure of visiting my three books at any bookstores I happen to find myself at. Of course, now I quite often end up working as many as 20 hours a day between seeing clients, teaching, learning and working on way too many writing and research projects all at once, but everything I do in my life now is because it serves my own goals and fullfills my own dreams, rather then merely someone else’s. Did you follow a regular routine when writing? As mentioned above, for a long time I got up in the middle of the night for two to three hours, with the help of some strong coffee, to write when it was quiet and I had no other demands on me. But with each book, there was a time when I had to take a month or two off from work and all other activities, send my son to the babysitters a lot, and write almost around the clock in order to complete it, either because I was just sick and tired of it taking so long, or because I had deadlines to meet. I might mention it was a lot easier to write before I had a cell phone or an internet connection at home. Since I’ve had these, writing my next book has been a lot more challenging as I waste far too much time and energy responding to emails, to blog posts, to facebook, etc. That’s the downside of all this technology for writers or anyone trying to achieve anything these days. Most of us have contracted ADD to some degree now. How much time do you spend on research? What type of research do you do? I can say with all honesty, that even through my first book was 450 pages long (then cut down to 300 at the insistence of my publisher), I only referred two or three times at most to a source outside my own memory, thoughts and heart. In fact, I barely did any research for any of my books, with the exception of a chapter I wrote in Extraordinary Psychic in which I outlined the history of the U.S. military’s use of remote viewers. Other then that, everything I wrote about was based on what I had previously learned or experienced on a personal basis. I’m not much of a notetaker and the few scraps of notes I do take every once in a while tend to get swallowed up by my washing machine or in the depths of my bottomless purse. I’ve had the perspective that if something is important enough to write about and share with others, then it should be something that made such an impression on me or had such a great impact that I still remember it. If I forgot it, then it wasn’t that important and therefore doesn’t need to go into my books. But that’s just me. How did you find time to write and publish three books over the course of six years? Since my publisher demanded I cut 150 pages from my first manuscript before they would agree to publish, I took out the chapters that weren’t absolutely necessary for a beginner learning these skills to focus on. This deleted material became the backbone of my second book on more advanced techniques. Then, for that book, I was told I had to cut 100 pages. I realized I had written several chapters on a subject related to but outside the score of psychic matters. So I took those chapters on creativity and those became the foundation for my third book. How do you deal with rejection? I didn’t deal with very much rejection for my books as my first manuscript was accepted by the third publisher I sent it to. The second publisher I sent it to, Frank DeMarco, former CEO of Hampton Roads Publishing, responded to me by email less then 48 hours after I sent the book to him. I didn’t even think it was humanly possible for him to have received it yet. He stated he had stacks of other manuscripts collecting dust on his desk, but had felt compelled to read mine and he very much liked what he had read so far. So all of this was very encouraging and actually gave me the incentive I needed to finish it, since I had only completed a few sample chapters prior to submitting it to publishers. I should also mention, I never even attempted to get an agent, but rather decided I would submit to publishers that did accept unsolicited manuscripts, which did drastically lower my pool of possible publishers. How do you deal with negative reviews? Not very well. I only have a few negative reviews on Amazon, but they are very upsetting, particularly when it’s clear to me that the reviewer did not read the book, or the whole book, or they are coming from a competitive perspective. So I tend to not let myself read them too often as it’s so easy to get upset about one review when just about all of the rest couldn’t be more complimentary. How did you find your publisher? My former screenwriting mentor, and the guy who optioned my first and only screenplay, Dan Gordon (wrote “The Hurricane”; “Passenger 57”, “Murder in the First”; “The Assignment”), insists that when it comes to writing anything, from a book, to a screenplay, to an article, the very first thing you should do is research what else is out there to what is similar to what you want to write about or create. Then find out who published it (or who was that author’s agent), and look up their website and submission guidelines. Then swallow your pride and your wants and needs and fears and ego, and mold your creation into the exact form they are requesting. This advice has never failed me. Llewellyn Worldwide offers guidelines that will get any book-length manuscript in excellent shape to submit to just about any publisher, so I do suggest checking out their site for this purpose. Do you use critique partners or beta readers? Why or why not? I never had a single person read my first manuscripts until I submitted them to my publisher. I’m not sure why, I just really didn’t want to show them to anyone. That being said, it would have been much, much, much more prudent to have an editor go through them as I had a lot of typo’s, but I think I just got lucky that it got into the hands of people who didn’t care so much about that. I have so many people who give me their own manuscripts to read and a lot of these (usually fiction) are just in terrible shape in terms of structure, or are so excruciatingly boring that it’s hard to get past the first few pages. For this reason, I do highly suggest that any works of fiction be shared with at least a couple people before submitting to an agent or publisher or anyone who might not give you a second chance. It’s very difficult for a writer to know if the story line or plot or dialog makes sense or flows for readers who haven’t been living day to day with the characters or plot points, as the authors have, sometimes for years. Fiction and screenwriters often just get too close to their stories to be able to look at them objectively. That’s why it also might help to put the book aside (this is also true for nonfiction) for a period of even a few months and then pick it back up. What you may have thought was absolute brilliance at one time may seem like utter jibberish at another, or vica versa! What advice would you give to aspiring authors? The problem I find with many writers is their manuscripts are too focused on themselves. There is a fine and delicate and subtle line between isolating yourself from your reader by focusing too much on the intricate details of your own life experiences vs. sharing lessons learned in the course of having your own experiences that are universal and therefore ultimately enlightening and stimulating to your readers. As a rule of thumb, or what ever finger you type with, I’d say you always have to be putting yourself in the shoes or minds or hearts of your potential readers and asking yourself, how do they benefit from this information? How is this stimulating or entertaining or moving or educating? Is this creating a yawn or an ah ha! moment. If your books, particularly a non fiction book, isn’t creating several ah ha! moments, then why are you writing it in the first place? Along these same lines, especially when it comes to nonfiction, it’s helpful to research and determine how much of what you are just discovering and therefore so enthused about sharing is new to everyone else? Before an agent or publisher will accept your book, you will have to or should answer the question “what other books have been written on the subject and how is your book unique?” It’s actually not a problem if there are other books, many others, on the same topic, but you must have a unique angle, because it’s the Ah Ha! moments that sell. That’s where my final advice comes in: If you want to write a book because it sounds like a cool thing to do and you’d love to see your name or mug on the cover, I suggest finding something else to do. There are easier and surer ways to find glory. If you want to write a book because you think it would be therapeutic, a path to processing your emotions and unleash your until now very blocked creativity, then by all means write but do so knowing you are most likely just going to be writing for yourself and initially, let that be enough. That could always change down the road, and it may be because you wrote it for yourself and was not edited for the sensibilities of an audience, that it’s so bursting with passion, lust and poetic agony that it will turn out to be the greatest literary masterpiece of this century. Maybe, but probably not. If you want to write a nonfiction book because you are so bursting with information that you are quite certain is needed and desired by the public, even just a specific strata of people, perhaps even because it’s written for a specific strata of people, then you probably should start writing it sooner then later and I hope you do. A lot of what is true in life is true in writing. The next turn or step often won’t be revealed until you have already taken the first few, or even several steps. If you have already spent a decent amount of time thinking about something and don’t have an answer, more thinking isn’t going to make a difference because the answer isn’t in your head, it’s waiting for you in your future life experiences. You can’t get to the top of the stairs without climbing up the lower ones first, anymore then you can get to the end of the book by skipping the pages that come before it. Many people don’t want to write until they know exactly which way they are going to go with the story or outline or until they have the end worked out or even the middle. However, what I’ve found is that until you’ve got the words on the page, you just won’t often know which way to go with a manuscript. So the key to progress is in writing at first draft, unloading all ideas onto the page and not caring how good or coherent it sounds. Keep writing until every single potential idea has been deposited onto the page. Then go back and edit a few days later. If you are stuck on a direction or way to go, consult with your friends. Don’t make them read your book yet, but instead just give them a verbal synopsis and ask them what they think your character should do next. Don’t make or ask anyone to read your book until you feel like it’s a masterpiece. Most likely, it will need another rewrite or two before it becomes that anyway. Debra’s print books can be found at any bookstore in the United States. Her ebooks can be purchased via Amazon or Barnes & Noble or through her own website as PDFs. 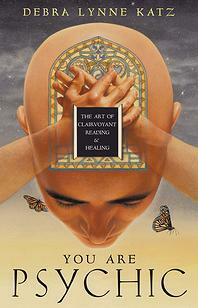 YOU ARE PSYCHIC: THE ART OF CLAIRVOYANT READING & HEALING: This first work has sold hundreds of thousand copies in the United States and worldwide, mostly through word of mouth. It has been translated into several different languages and continues to be a favorite choice as an invaluable guide offering clear and engaging instruction on developing your natural intuitive gifts of clairvoyance, clairaudience, and telepathy. You are Psychic is one of the only books out there that focuses on clairvoyance, the specific psychic ability that allows you to see, experience and manipulate energy via images, pictures, and colors. It’s one of the only psychic development books that discusses, “The business of spirituality”, psychic ethics, dealing with the stressors of being psychic in the mainstream world, how to do relationship readings. 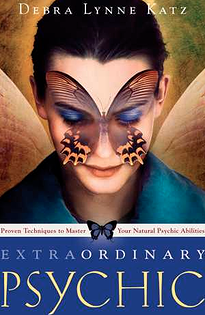 EXTRAORDINARY PSYCHIC: PROVEN TECHNIQUES TO MASTER YOUR NATURAL ABILITIES: Released in 2008 by Llewellyn Publishing, this book is Debra's brilliant follow-up to You Are Psychic. This second book successfully details actual techniques, meditations and exercises that will allow beginners to explore their psychic abilities. It also serves by creating a framework and practice for professional psychics to fine-tune their intuitive skills. 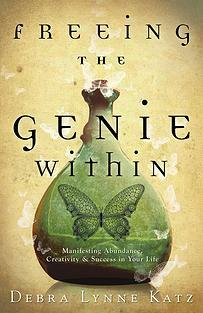 FREEING THE GENIE WITHIN: MANIFESTING ABUNDANCE, CREATIVITY AND SUCCESS IN YOUR LIFE: Freeing the Genie is not just an innovative book, but a traveling companion to help you overcome obstacles on your spiritual path. It offers numerous techniques and meditations to help you raise your frequency, get unstuck, and move forward with your goals. It helps empower readers to not only understand how powerful they really are, but to experience it. Freeing the Genie Within teaches readers how to transform energy and matter into a higher form for the purposes of personal growth and abundance. This isn't just another "lets think positive, say a few affirmations and everything will come to you" book. Rather, this helps to answer the difficult question that many who have been on the path for years have been struggling with, which is: "Why does positive thinking work sometimes, but not others?" This is T.W. Fendley. Thanks for reading and commenting on The Writers' Lens! You can find out more about me at www,twfendley.com. Be contract wary & publisher savvy! Once you've finished writing your book, you enter the next stage of being a professional writer--getting published. Whatever route you decide to take (more on that later), at some point you'll end up trying to decipher the legalese of a publishing contract. Make sure you're up to the task or get some help. In recent weeks, Random House--one of New York's Big Six publishers--came under attack for offering "heinous" contracts on its electronic-only imprints Hydra, Alibi, Flirt and Loveswept. John Scalzi, outgoing president of the Science Fiction Writers of America, states in his blog: "Dear writers: This is a horrendously bad deal and if you are ever offered something like it, you should run away as fast as your legs or other conveyances will carry you." Author/blogger Elizabeth Donald says: "Random House proposes to take all rights forever and to require the author to pay for standard publisher expenses like layout, design and marketing, after which they will split the costs. I find this quite similar to the person who comes up to me at a convention and says, "I have an idea for a story. Why don't you write it and we'll split the money?" Only this is more annoying, because Random House damn well knows better. They are not some well-meaning start-up on someone's kitchen table. This is a cynical opportunistic grab to huckster new writers, and I've always felt there is no one lower than the people trying to scam writers. If you're going to scam someone, try someone who actually has money." According to Victoria Strauss of Writer Beware, Random House has since modified its digital-only contracts, but they still merit scrutiny. Random House maintains it offers "a different--but potentially lucrative--publishing model for authors: a profit share..."
Read--and understand what you're reading--before you sign a publishing contract. Sounds simple, but I know I would've been tempted to accept a contract from Random House just based on their Big Six status. Get an attorney to check it out. Eastern Missouri and Southwestern Illinois artists with an art-related problem can contact the VLAA (Volunteer Lawyers and Accountants of America). To qualify for free assistance, you must earn less than $27,255 per year (+$9,550 for each additional household member). Before you have a contract in hand, be sure to understand what kind of publisher is right for you. Writer Beware has a good overview of the differences between commercial publishers, vanity/subsidy publishers and self-publishing. Pay close attention to the differences between self-publishing and vanity presses! If you're considering an offer, ask an author who's used that publisher about their experience. It’s becoming harder to define what ‘publishing’ really is. Co-sponsored by the fledgling Saint Louis Literary Consortium, this session will address the rapidly changing world of book publishing. If you're a writer exploring options for getting published, this workshop is for you! Panel: Brad Cook, St. Louis Writers Guild; Attorney Andrew Eastman, Brinker & Doyen; Kristina Makansi, Blank Slate Press; Lisa Miller, Walrus Publishing; Catherine Rankovic, poet; and Winnie Sullivan, PenUltimate Press. *To save $5, call 314/863-6930 to register in advance--only cash accepted! I underestimated the impact my book, or any book, can have in the world. Maybe deep down I knew and that’s why I started writing and have always wanted to be a writer. The other day I received a note on my Facebook page from a close family friend. She is a school bus driver in Pennsylvania. She bought a copy of my book GANGSTERLAND when it first came out in October. Reading her note was not only humbling but one of those moments when you realize an important principal of life, making a connection with another person. After reading this, I instantly wanted to give these kids every book I have. Every child on that bus should have a book, any book, that they could share with each other. Sharing stories is what we humans have been doing since the beginning of being human. Sharing stories connects us to each other. This was my "Aha!" moment after reading her post to me. 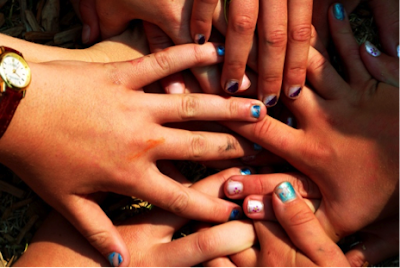 Do you have gently used middle-grade or lower YA books that could use a good home? If you do, I know these kids would truly appreciate it. Please feel free to pass this post around, re-blog, tweet it, share it on Facebook. It would be wonderful if we could get a book to every kid on Cyndi’s school bus. If you have some gently used books that you would like to donate, please leave me a note in the comments below and I’ll reply with a mailing address. Let’s give every kid on the bus a book! Don't miss Missouri's 3 Poets Laureate March 15 at Maryville University! Walter Bargen has published fourteen books of poetry and two chapbooks of poetry. Recent books are,The Feast (BkMk Press-UMKC, 2004), Remedies for Vertigo (WordTech Communications, 2006),West of West (Timberline Press, 2007), Theban Traffic (WordTech Communications, 2008), Days Like This Are Necessary: New & Selected Poems (BkMk Press-UMKC2009), and Endearing Ruins (Illiom-Verlag, Germany, 2012). David Clewell is the author of eight collections of poetry—most recently, Taken Somehow By Surprise (University of Wisconsin Press, 2011)—and two book-length poems. His work regularly appears in a wide variety of national magazines and journals—including Poetry, Harper’s, The Georgia Review, New Letters, The Kenyon Review, and Boulevard--and has been represented in more than fifty anthologies. Among his honors are several book awards: the Felix Pollak Poetry Prize (for Now We’re Getting Somewhere), National Poetry Series selection (for Blessings in Disguise), and the inaugural Four Lakes Poetry Prize for Taken Somehow By Surprise. He served as poet laureate of Missouri from 2010 to 2012. Clewell teaches writing and literature at Webster University in St. Louis, where he also directs the English Department’s creative writing program. His collection of Charlie the Tuna iconography is now the largest in private curatorship. And don’t even get him started on the subject of flying saucers. The current Poet Laureate of Missouri, William Trowbridge holds a B.A. in Philosophy and an M. A. in English from the University of Missouri-Columbia and a Ph.D. in English from Vanderbilt University. His poetry publications include five full collections: Ship of Fool (Red Hen Press, 2011), The Complete Book of Kong (Southeast Missouri State University Press, 2003), Flickers, O Paradise, and Enter Dark Stranger (University of Arkansas Press, 2000, 1995, 1989), and three chapbooks, The Packing House Cantata (Camber Press, 2006), The Four Seasons (Red Dragonfly Press, 2001) and The Book of Kong (Iowa State University Press, l986). His sixth collection, Put This On, Please: New and Selected Poems, will be published in 2014 by Red Hen Press. His poems have appeared in more than 30 anthologies and textbooks, as well as on The Writer’s Almanac and in such periodicals as Poetry, The Gettysburg Review, Crazyhorse, The Georgia Review, Boulevard, The Southern Review, Columbia, Colorado Review, The Iowa Review, Prairie Schooner, Epoch, and New Letters. He has given readings and workshops at schools, colleges, bookstores, and literary conferences throughout the United States. His awards include an Academy of American Poets Prize, a Pushcart Prize, a Bread Loaf Writers’ Conference scholarship, a Camber Press Poetry Chapbook Award, and fellowships from The MacDowell Colony, Ragdale, Yaddo, and The Anderson Center. He is Distinguished University Professor Emeritus at Northwest Missouri State University, where he was an editor of The Laurel Review/GreenTower Press from 1986 to 2004. Now living in the Kansas City area, he teaches in the University of Nebraska Low-residency MFA in Writing Program.